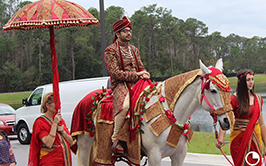 We specialize in weddings, downtown rides, birthday parties, anniversaries, and special events. 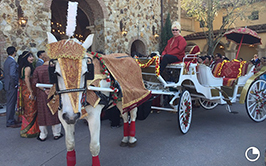 We offer professional horse drawn carriages with expert drivers and beautiful horses that can take care of you and your event! We can even come to your location! 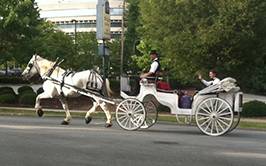 Come take a tour ride with us in Downtown Greenville! 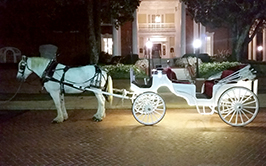 We offer tour rides out of the Westin Poinsett Hotel and the Courtyard Marriott Hotel. Rides are about a half hour trip. 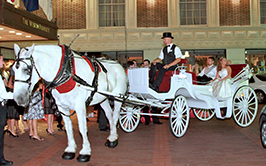 The Original Downtown Carriage Company of Greenville, South Carolina! 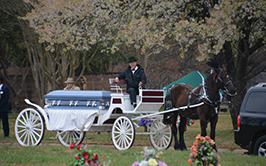 We offer Wedding Carriage Services across the tri-state area. Bonnie is the matriark of the barn. She has Years of experience serving the public. 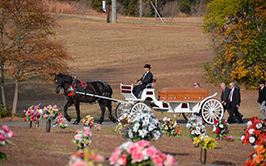 Luke is one of our most loving horses. 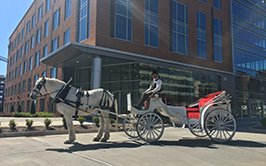 He loves to come downtown and meet people and give rides. Lincoln is our newest member of our team. © Copyright Express Consulting. All Rights Reserved.